One of the trickiest-and most liberating-aspects of poetry is that there is no Gold Standard against which we measure its worth. Without this standard, it can also be difficult to evaluate when a poem is finished. Because each poem is trying to accomplish something different, it is up to us to decide when the poem has arrived. This is not easy to do, even when one has been writing for decades; but it sure is satisfying to practice! The important thing to remember about revision is that it is a process by which we become better acquainted with the poem and push it farther toward its own potential. In the revision stage, we revisit and may reinvent the choices we’ve already made with language, image, voice, music, line, rhythm and rhyme. The tricky balance involves wildly experimenting with what might be possible in a poem-beyond what we first laid down on the page-without losing the integrity of idea or emotion that brought us to the poem in the first place. This is a skill that develops over time through experience and largely by feel. If it seems like you’re groping around in the dark when revising, welcome to the club! The process of revising poems is unique for each poet; and often, each poem has its own, unprecedented trajectory. I’ve had a few “whole cloth” poems arrive nearly perfectly complete in one contiguous swoosh of pen to paper. And I have other poems that have taken me more than 15 years to finish. More typically, I work on a poem for a few weeks or months. Sometimes, I think a poem is finished; and years later, it proves me wrong, demanding a new final verse or line structure or title. For the purposes of establishing a revising practice, I recommend that you divide writing and editing into two completely separate acts that happen at two different sittings, preferably on different days. The goal of this checks-and-balances system is to give yourself the space to let it rip when you’re writing without fearing interference from your inner editor. Don’t worry: if it’s bad now, it will still be bad next week; you can fix it then. Once you feel you’ve exhausted every last drop of poetic possibility in the writing of the first draft, or any time you get stuck and don’t know where to go next, put your poem aside for a while. The next time you return to it, you’ll be wearing your editor hat. In my experience, time is the greatest of editors. The longer a poem sits untouched, the more likely you are to have a sense of how to proceed when you sit down to revise. 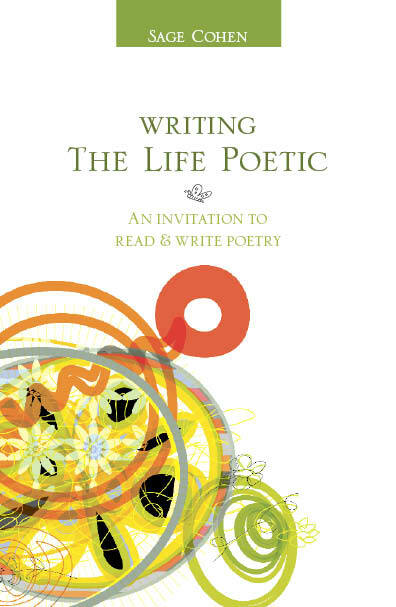 What is most alive in your poem? Underline the line(s), word(s), phrase(s), stanza(s) that seem to be the kindling feeding the fire of this poem so you can easily reference what’s working well throughout the revision process. Is there exposition at the beginning or summary information at the end that is not serving the poem and could be trimmed? Where is language weak and flabby? How can you give it more energy and muscle? Can passive verbs become active? Can modifiers be cut? Should “dropped” be changed to “plummeted”? Verb tense: What would your poem be like in a different tense than it was written? Even if it happened in the past, try the present; and vice versa. See what gives it the most power and energy. Does the shape of the poem (line length, stanza breaks, white space) mirror the emotion and rhythm of its content? Should it? Are punctuation and capitalization consistent? Is there good music of repeating sounds throughout the poem? Does each line break create the desired interest, pause, movement, and focus on key moments or words? Is the title serving the poem? How can the title take the poem further? Remember that no one but you knows the best way to craft your poem. Have fun, be willing to experiment, and know that you’ll learn a little more about revision each time you try. Finally, a writing workshop that fits into the busy lives of moms! You will learn how to create short, easy-to-write articles-a skill that will make it easier to move up to longer, more time-consuming articles when you’re ready. Try your pen at tips, fillers, short interviews, list articles, how-tos, and short personal essays-all within six weeks. I bet you have worked long and hard to discover your specialty, narrow the focus of your expertise, and build your credibility, so shouldn’t you also develop a course curriculum that you can use as the starting point for years of teaching and learning from your students? I have been doing this for eight years and in this six-week class, I will share all of the insights I have learned so you can create your own class, including strategies for cultivating a following of students who succeed. This is probably the most important class I teach because it helps writers develop curriculum they can use to create multiple income streams. 1. The Indiana Review Publishes two issues a year (May and November); publishes 6-10 stories per issue. 2. Alaska Quarterly Review Publishes two issues a year. 3. Alimentum: the literature of food The print journal publishes two issues a year (winter and summer); also features an online serving. 4. THEMA Publishes three issues a year. 5. Tin House Publishes four issues a year; also offers an online sampling. 2. Narrative Magazine Continuously updated; lots of contests. 3. Flatmancrooked Online with an annual “best of” print anthology. 4. The Adirondack Review Quarterly issues with an “evolving issue” on the website. 5. Guernica A magazine of art and ideas. 1. Narrative Magazine Publishes book-length works for serialization; electronic submissions only. 2. James Jones First Novel Fellowship Contest Deadline will be around March 1, 2010 (date TBA); award of $10,000. 3. The 2010 Autumn House Fiction Contest The winner will receive book publication, $1,000 advance against royalties, and a $1,500 travel grant to participate in the 2009 Autumn House Master Authors Series in Pittsburgh; deadline is June 30, 2010. *Always read the submission guidelines of every publication to which you submit. 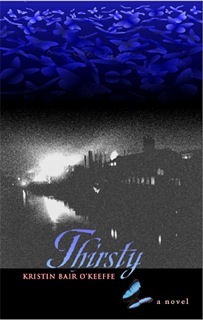 Kristin Bair O’Keeffe’s debut novel, Thirsty, will be published by Swallow Press in 2009. Since moving to Shanghai, China, in 2006, Kristin has been chronicling her adventures (and misadventures) in her blog, “Shanghai Adventures of a Trailing Spouse.” Her essays and articles have appeared in the Pittsburgh Post-Gazette, Poets & Writers Magazine, The Baltimore Review, San Diego Family Magazine, and The Gettysburg Review. She teaches fiction and nonfiction writing and is the curator of Out Loud! The Shanghai Writers Literary Salon. To learn more, visit www.kristinbairokeeffe.com. So you’ve chosen the perfect topic, crafted a solid lead and conclusion, and revised (and revised and revised) your essay until it shines. Now what? Now you need to find a place to publish it. First the bad news: finding markets for personal essays (especially ones that pay well) can be tough. 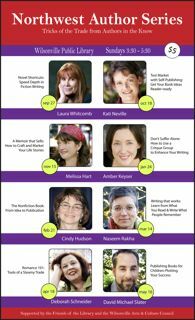 Now the good news: finding potential markets has never been easier, thanks to a plethora of online and print market guides, not to mention blogs, web forums and e-zines for writers, such as this one. While I subscribe to several market guides and find them immensely helpful for such insider info as Q and A’s with editors, contact information and rates, these guides are no shortcut to studying a publication in-depth on your own. In fact, I have never sold any of my essays to a market I didn’t read first. When you have a magazine in hand, for example, it’s easier to flip back and forth between the writers’ bylines and the masthead to determine whether a certain piece is staff-written or open to freelancers. Once you’ve targeted and researched an essay market, you should have the name and contact info of an editor in hand. If not, pick up the phone. You’ll usually find the editorial phone number below the masthead in print publications. Tell the receptionist you’re a freelance writer who wishes to submit an essay for publication and ask who handles that department. Most times you’ll get a name and e-mail address this way. The most common way to submit an essay is “on spec”-meaning, you write it first and submit it in its entirety with no guarantee of publication. This bothers some writers, but look at it this way: it’s hard to convince an editor of a statement like, “My essay will be a poignant/thoughtful/humorous account of adopting an ornery Siamese cat” without enclosing the completed piece. Next, you should write a compelling cover letter similar to a query letter. Reel in the editor with an attention-grabbing lead and say why you think your essay would be a good fit. Do you have to write a cover letter? Especially since you’re enclosing the whole essay? No, but if you were an editor, which would compel you to keep reading? 2. Or, “I knew I had my hands full the morning after I brought Svetlana home when my living room looked like the inside of a snow globe. That was my first clue that perhaps adopting a cat wasn’t as simple as I’d thought. Then, after you’ve spell-checked everything (especially the editor’s name! ), send that baby out. And, just like when you pitch an article, follow up after a couple of weeks and start looking for back-up markets in case your essay’s not a fit for your first choice. It may take one try or 20, but if you’ve got a solid personal essay and a strong desire to get it published, you will. I have years of personal experience-and numerous student success stories-to prove it. Abigail Green has published more than 150 articles and essays in regional and national publications including American Baby, Baltimore Magazine, Bride’s, Cooking Light, and Health. Her work also appears in the new book, “A Cup of Comfort for New Mothers.” (Adams Media, 2009). Abby holds a B.A. from Vassar College and an M.A. in publishing from the University of Baltimore. She writes the “Crib Notes” column for The Writer Mama e-zine and the “Understanding Personal Essays” column for Writers on the Rise. A mother of two boys, she blogs about parenting, publishing and more at http://diaryofanewmom.blogspot.com. E-mail me to get on the list. Q: Some publications’ guidelines say, “send clips with query.” I have a few published pieces, but how do I choose which ones to send? A: My first preference as a magazine editor would be to see clips that are relevant to the topic you’re pitching-no matter how small the publication that printed them. While clips from well-known, national publications can be impressive, they’re not always relevant. After all, if you’re pitching an article maintaining your faith to “Today’s Christian Woman,” you would probably be better off just mentioning in your query that you were published in “Men’s Health”-not including the clip on “25 Ways to Please Your Man.” If you don’t have a clip that’s relevant to the article you’re pitching, choose the clips that show off your best writing. Wendy Burt-Thomas is a full-time freelance writer, editor and copywriter with more than 1,000 published pieces. Her work has appeared in such varied publications as MSNBC.com, NYTimes.com, Family Circle and American Fitness. She is the author of three books: Oh, Solo Mia! The Hip Chick’s Guide to Fun for Work It, Girl! 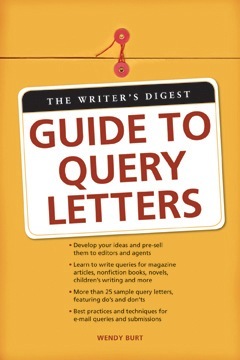 101 Tips for the Hip Working Chick (McGraw-Hill, 2003); and The Writer’s Digest Guide to Query Letters (Writer’s Digest, 2008). Visit her at http://www.GuideToQueryLetters.com or her blog, http://askWendy.wordpress.com.